Motion graphics made using Adobe Flash and Adobe After effects. For your website and videos. Flash motion graphics are something you're likely to have seen all over the net in the last few years, whether you're aware of it or not. Most of the animated ads you see online, interactive banners and animated websites. All Flash. As well as many of the sites that you might use that have video players, even on Youtube, they're normally built in Flash too. We have lots of experience with using Flash and can use it to do lots of different things. Some people want a logo on their site with a little animation, or a full website built in Flash in order to bring every element on the page to life. It's not just that though, we can also create animated header images on your site, interactive banners that can advertise your products and services and much more! Another thing we can do with motion graphics is to create animations using Adobe After Effects. It's a relatively new piece of software that is being used throughout the industry to create eyecatching motion video effects. It was recently used to create a particularly impressive time lapse scene on the BBC's "Life" documentary series. We can use it to create video intros for branding on adverts for your company, or other simpler animations which we can output as Flash for incorporation in your website. 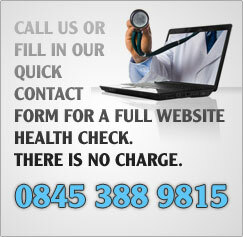 If you're looking for something simpler, we can also create straightforward .gif banners or adverts for your site. Motion graphics sound like just the thing for your site? Fill in a no obligation, quote request to let us know if you're looking for a full Flash site, ad, banner or video intro and we'll present a solution to you.